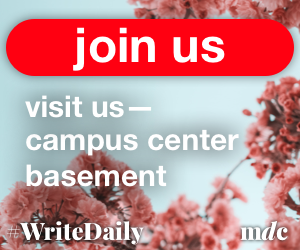 Fans of polarizing guard play need not go any further than Mullins Center on Wednesday night. 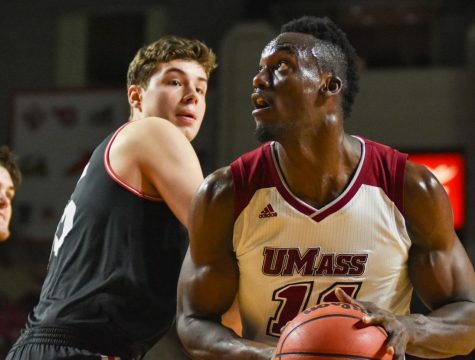 The Massachusetts men’s basketball team hosts Rhode Island at 7 p.m., marking the second meeting between both squads this season in UMass’ second-to-last home game. 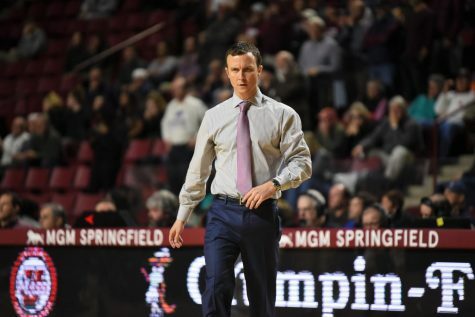 The Rams (12-16, 3-10 Atlantic 10 Conference) have endured a shaky 2013-14 campaign, but one of the few constants has been the scoring prowess of guards Xavier Munford and E.C. Matthews. The duo has combined to average 30.6 points per game, with Munford (16.6) just edging Matthews (14.0) and they have accounted for 45 percent of Rhode Island’s total scoring offense this season. Yet the backcourt’s biggest strength may be its unpredictability. 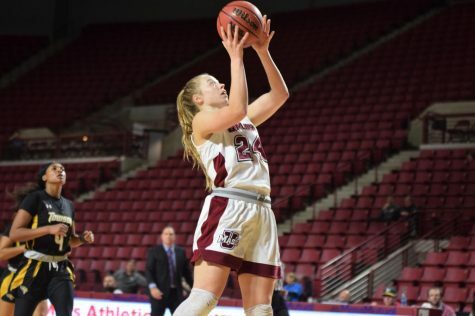 Munford exploded for 32 points in 38 minutes against St. Bonaventure on Saturday, just three days after scoring just seven points against Saint Joseph’s. 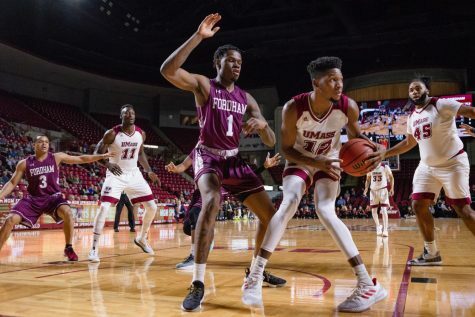 Matthews – a freshman who garnered recruiting interest from the Minutemen – is on a personal hot streak since his first encounter with UMass on Feb. 9. He scored 24 points on 7-of-15 shooting then and has averaged 23.8 points per game in his four appearances since. He’s the reigning Atlantic 10 Rookie of the Week. 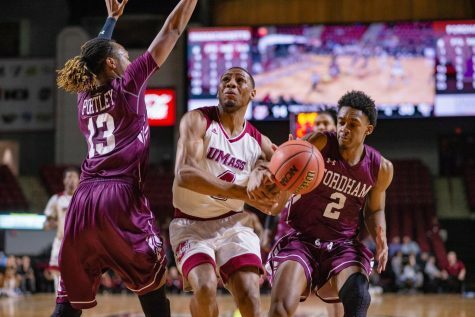 “Those two guys are the two best scoring guards in the conference together,” UMass coach Derek Kellogg said. It’s an intriguing matchup for a Minuteman team which has a prideful defensive backcourt in Chaz Williams, Derrick Gordon and Trey Davis. 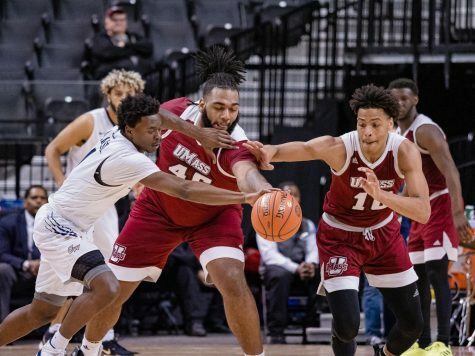 In the first matchup, UMass upped its defensive intensity and closed Rhode Island out on an 18-6 run to win 73-68. Gordon knows Munford and Matthews will have that performance in mind on Wednesday night. Munford and Matthews combined for 43 points in the loss. Gordon acknowledged their talent, but also knows he plays an important role as a defensive stopper. 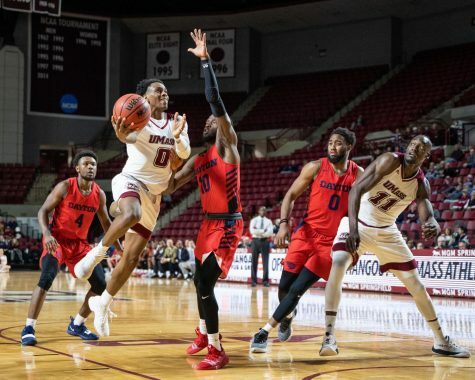 Gordon’s coming off one of his best games of the season in UMass’ win over Virginia Commonwealth. He scored 16 points on 6-of-10 shooting in 24 minutes and looked comfortable on both ends of the floor. 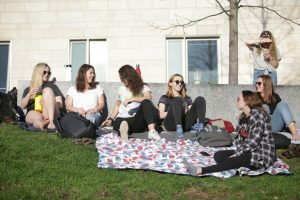 “I think Derrick Gordon’s gotten his confidence back to a certain extent and played at a much higher level,” Kellogg said. With just four games left in the season, a pair of Minutemen have a chance to create their own personal accolade. Senior forwards Raphiael Putney (985) and Sampson Carter (903) are both close to crossing the 1,000 point mark for their respective careers. 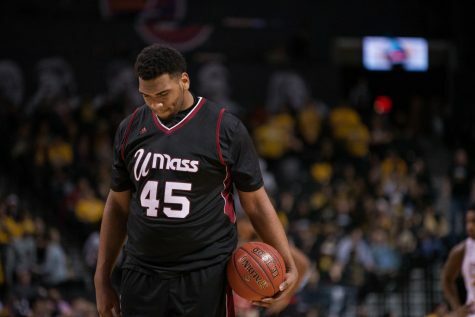 Both players entered UMass as a part of a recruiting class which included Terrell Vinson, Freddie Riley and Javorn Farrell. 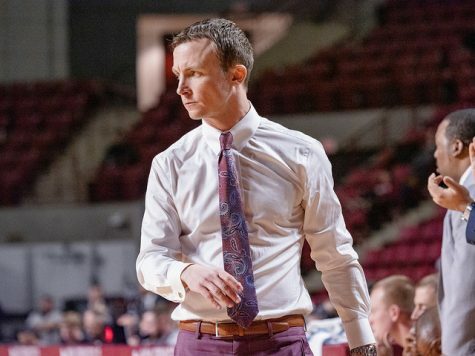 Vinson and Riley both crossed the 1,000 point threshold as Minutemen while Farrell reached the milestone at the Texas El-Paso, where he continued his career as a postgraduate student. It’s a proud development for Kellogg, who recruited all of those players. Williams is also chasing some history. 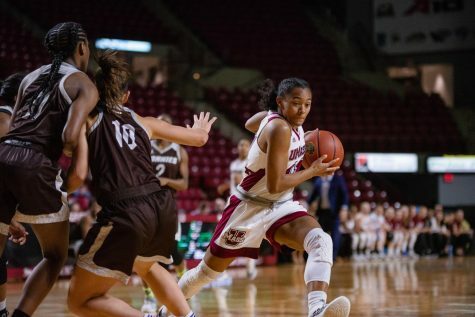 The point guard enters Wednesday’s game 17 assists behind Chris Lowe for UMass’ all-time assists record.